My first story for Rolling Stone was the Grateful Dead bust. 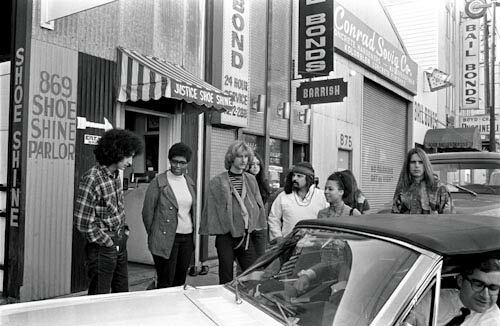 The Dead put on this great press conference held appropriately where they lived and where they had been arrested. The band members sat across a table from the media. Along with the microphones, which were arranged between the band was a great big bowl of whipped cream which is visible in the pictures and which they threatened to throw at the media if any of them asked a stupid question. If you read the first issue of Rolling Stone you understand the band was making the point: “Why are you busting us? If you busted everybody who smokes pot in San Francisco you’re going to have no lawyers, you’re going to have no doctors, and you’re going to have no professionals of any kind because everybody smokes.” The band was quite adamant about it, and they were right of course.